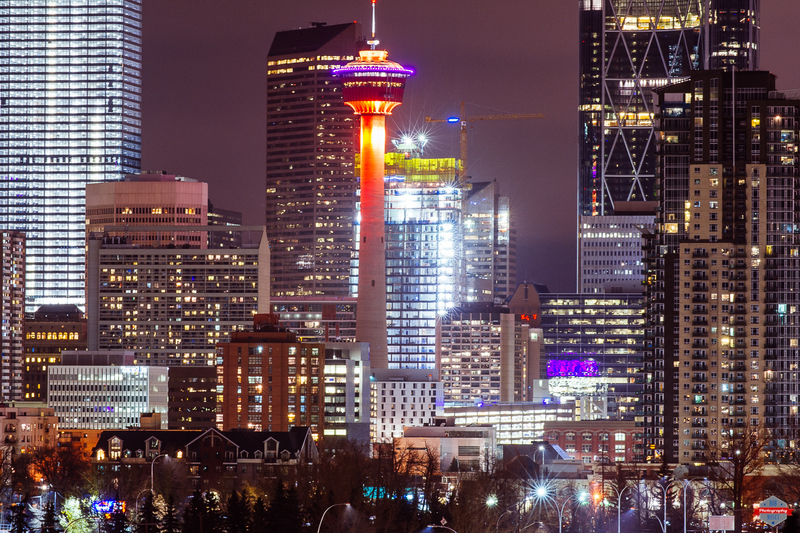 Apparently the Calgary Tower (Olympic Torch shaped building) used to be the tallest “building” in town. Hard to believe when you look at it from this angle, or from any angle really! haha. Things must have been a lot different around here back then. Anyhow, I shot this from on Saturday night from a grave yard that has a good view of the city. It was extremely windy that night and I’m surprised I was even able to get a half decent picture in the conditions. This entry was posted in Architecture, Cities and tagged 70-200mm, Alberta, apartments, architecture, beautiful, big city, buildings, Calgary, Canada, city, City Life, condos, D3s, downtown, explore, inner city, lights, long exposure, metro, modern, night, night life, Nikon, photo, Photography, pretty, sky, Skyline, skyscraper, skyscrapers, street, tower, uptown, Urban, windows, yyc. Bookmark the permalink. Miss this place! Thanks for the sweet reminder! Anytime! 🙂 where are you living now? Ahhhh haha yes! I lived in Toronto for 5 years and I actually really loved it. Been here for about the same amount of time now! Yikes, how time flies!